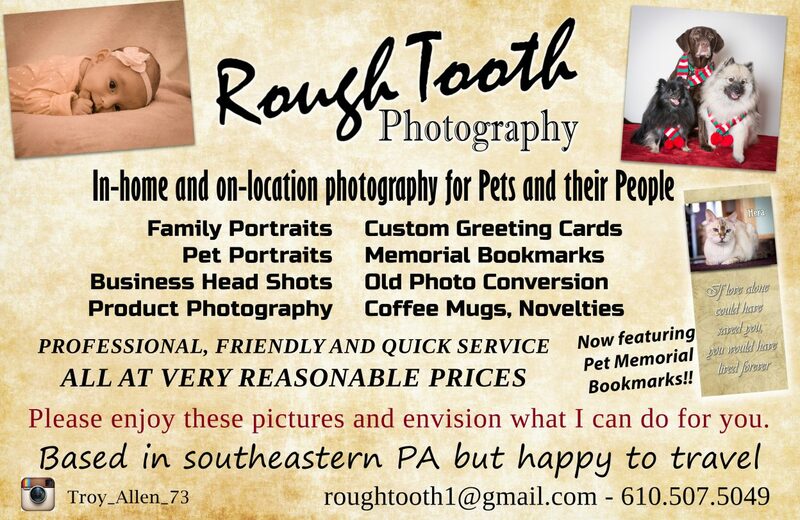 From product, portrait and real estate photography to, of course my favorite, pet photography. Some say I am spreading myself too thin by not having a “specialty”. I say, my specialty is photography. Connecting with the subject and figuring out the best way portray it in an image is the kind of challenge I thrive on. Whether it’s a person, animal, motorcycle part, antiques or a house, I can make it look great. Versatility is my specialty. Let my versatility work for you. I take challenges seriously and will work with you to create the images you envision. I do in-home and on-location to make things super convenient, and to keep pets in their comfort zone. I do all this at a very competitive price. I believe quality does not need to be exorbitantly priced. Please feel free to contact me for quotes and scheduling. You’ll be glad you did. I am also happy to travel. Thank you! !